This is one of Ivan Navarro's pieces in the exhibition "Where's the Next War?" at the Galerie Daniel Templon in Paris. Each square is a different picture I took every time the neons inside changed colors. The words "Con La Razon o Sin Ella" were taken from Goya. 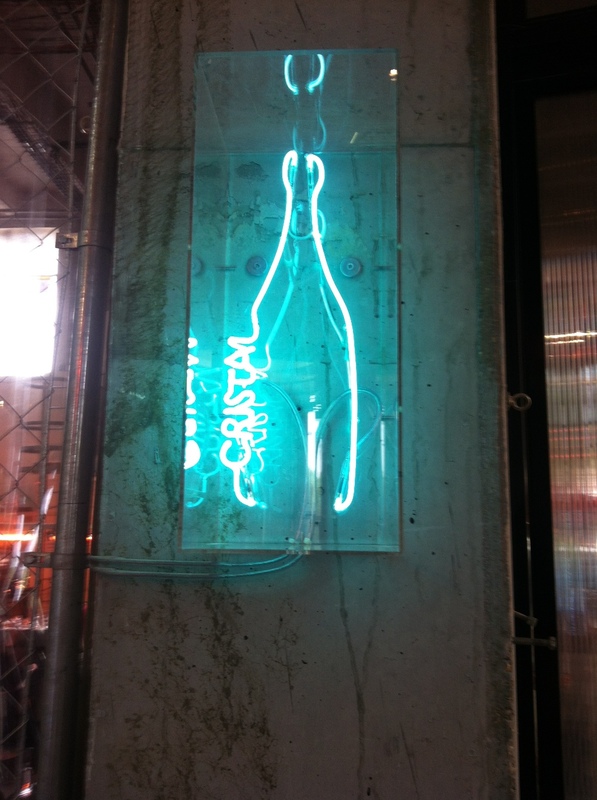 Neons and LED art pieces where everywhere in Paris (and they also proliferate in NYC and in every art fair I go to). Using light as raw material in art is nothing new. 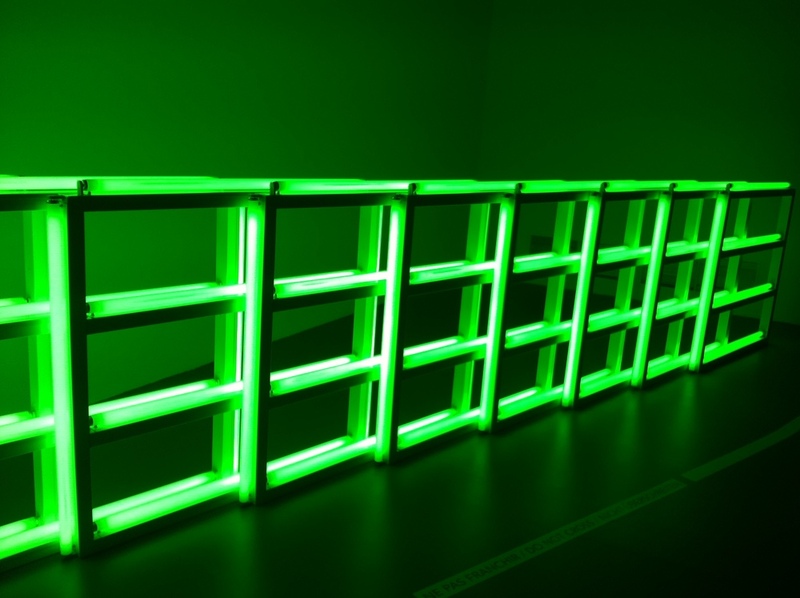 Op artists and masters of kinetics have been using light for more than one century. An extraordinary and gigantic exhibit called Dynamo taking place at the Grand Palais in Paris (until July 22) revisits many artists who in the past 100 years have used light and movement in their creations. 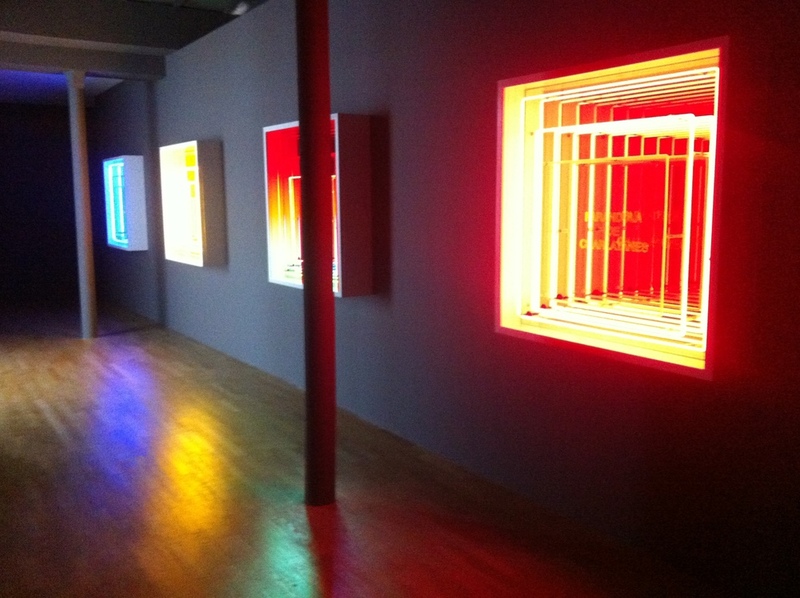 Also, the Galerie Daniel Templon in Le Marais, is having a breathtaking show with a new series of neon and mirror artworks by my friend and fellow Latino, Ivan Navarro, -who uses light as his main material in all his pieces- and who creates (among other mind blowing works) thin boxes and doors that look as if they were infinite tunnels where one is about to go in and be transported to another place. Trippy, I know. More and more of my clients -after many unsuccessful attempts of my own- have finally become amenable to the idea of incorporating LED, neons, and other art pieces that require electricity, to become part of their collections. Generally, if the piece comes from a good artist, LEDs and neons can last up to 150 years, after such term they may have to be replaced. And if a neon ever breaks (not completely shattered, but just a piece) it can be easily repaired (I learned this the hard way). 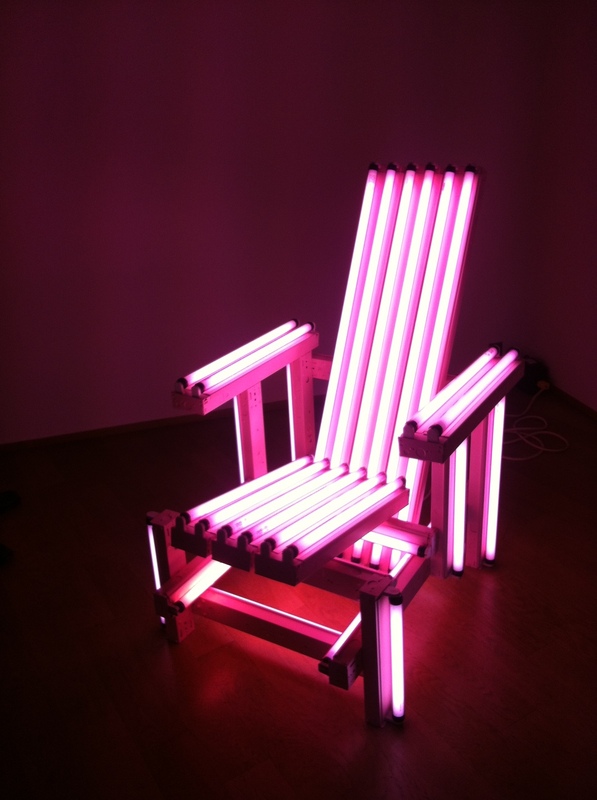 If you ever have a chance to have a neon or any other electricity-induced piece in your collection, don't hesitate because they are not passing trends, they are here to stay.